Why is my tortoise always sleeping? Tortoises hail from regions often a lot hotter than the UK. 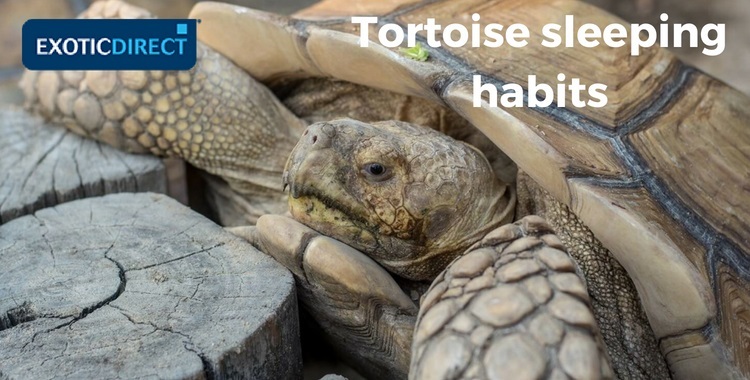 Their bodies have evolved over thousands of years to handle the heat and the cold, and this behaviour can be seen in our 'pet' tortoises today. Sleep is one of those mechanisms tortoises use for survival. So if your tortoise is sleeping too much...read on. Why is my tortoise sleeping so much? The consensus amongst tortoise owners on tort and reptile forums is that incorrect lighting and low temperatures could lead to your tortoise sleeping more. Torts need the right amount of light and heat to wake up, become active, and for their metabolism to be stimulated. Aim for a basking temperature of around 32 to 35 degrees centigrade. Your UV source should be a T5 D=12%. The lighting should be on for 12 hours a day. 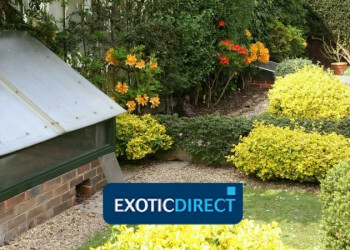 Your tortoises enclosure may also make a difference. Suzi Newsome, Mediterranean tortoise breeder says that a tortoise table is best. This it allows air to flow around your tort. A vivarium can cause health and stress issues in tortoises - due to the increased humidity levels from lack of air flow, and the glass panels that torts can easily walk into. Sometimes a tortoise who is new to the family may take a while to settle in – meaning he spends more time sleeping, according to members of Reptile Forums UK. Dehydration can also be an issue – bathe your tortoise regularly. Hydration is more important than eating. Finally, if you’re concerned about your tort, and all is correct with its temperatures, lighting and table, then consider getting a faecal test for parasites done at the vet. This enables you to rule out ill health. Tortoises will generally be awake during the day. However babies can sleep for between 19-22 hours a day. How long does a tortoise sleep for during a day? A tortoise will generally only sleep when there's no UV lighting on, or if the sun's gone down (if he's kept outside). Although this will vary by tortoise. If your tort's sleeping a lot in the day, check out the above section. Your Tortoise's UV lighting should be on for 12 hours a day. A baby tortoise can sleep for around 19 – 22 hours a day, according to the owners of two baby torts – an Iberian and a Dalmation Hermanns, commenting inside the Tortoise Forum. It’s thought that it’s because in the wild, being so small, they need to hide away so that they don’t become prey. Additionally as with any baby, sleep is a large part of their biological make up when so young. Tortoises will rest in all sorts of uncomfortable looking positions! 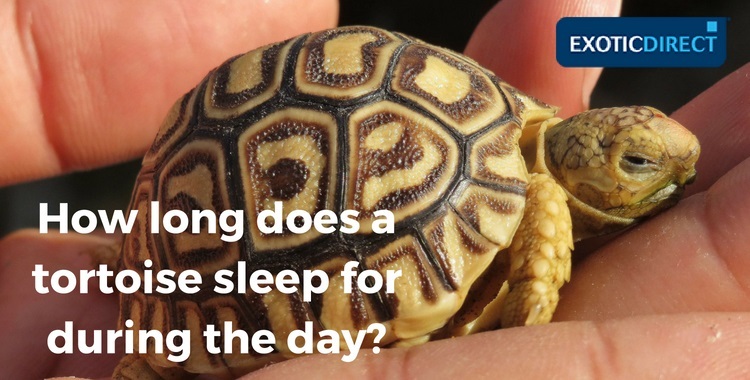 It seems that your tortoises really do have different sleeping habits! Tort owners on the Tortoiseforum.org share stories of their tortoises sticking all four arms and legs out, stories of torts resting their head on a rock, or even in their water bowl! It seems the warmth of the sun and basking lights all seem to be an incentive for tortoises to sleep in less ‘tortoise like' positions. Other torts like to retreat into their shell, burrowed in the dirt in a corner of their house, or just not appear to sleep at all – according to one tort owner. All in all, tortoises have got their own unique personalities, and like humans, have their own unique sleeping habits. If your tortoise is sleeping all the time, and barely eating, she could be trying to hibernate. Tortoises begin to slow down when the days shorten and the weather changes. You should check her heating and lighting to ensure she’s getting enough light and warmth. You should also check that she’s not dehydrated. Try putting her into a shallow dish when she is awake, so that she can drink. If she’s still sleeping and not eating, a vet visit is a good idea. Just to check that she’s not ill, or carrying any parasites. From here you can decide on whether to hibernate or overwinter her. If you choose to hibernate your tortoise, it should only be done if she’s fit and healthy and not underweight. Also check she’s a ‘hibernating species’. You should weigh your tortoise prior to hibernation and also get her vet checked. Hibernation is not recommended in torts under the age of one by the Tortoise Shop, and three years (or 100mm plastron length) by the Tortoise centre. Generally it’s not recommended to hibernate your tortoise if you’ve had her for under year. Check out our article How do I hibernate my tortoise? Their bodies need the UV in the sunlight and the warmth of the sun to work properly. Otherwise they can’t digest their food, synthesise vitamin D for strong healthy bones and shell, or stay warm. It’s up to us to provide these through our equipment. If all your equipment checks seem okay, and she’s hydrated, but you’re still not sure what the problem is. Don’t be afraid to see the vet. That’s what they’re there for, and a happy tortoise, is a happy you.